Aminéisn't just up-and-coming anymore -- he's arrived. 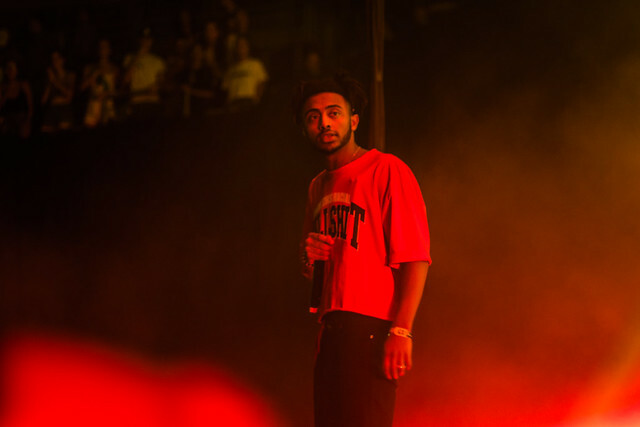 The Portland rapper made his Seattle debut in probably the biggest way possible -- playing to a packed out crowd at Key Arena at the Bumbershoot Music & Arts Festival. 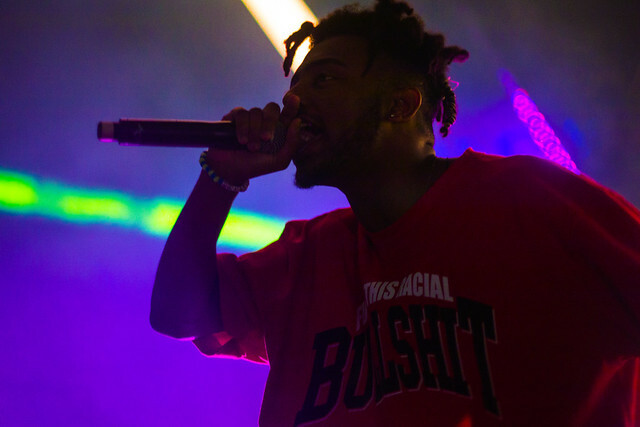 Walking on to the beastly, hyphy-like beat of "Red Mercedes," Aminé kept the crowd going at full force throughout his set. His debut album, Good For You, has only been out for a couple months yet he already has a stadium of people yelling along to every word. 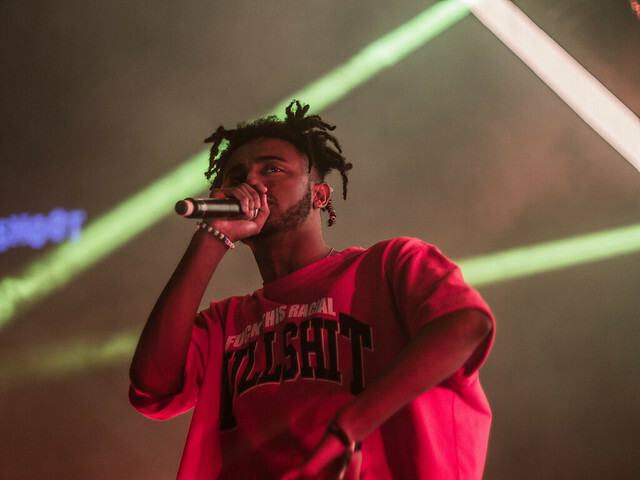 He had fun with it too, stopping his mega hit "Caroline" halfway through to run through a stripped-down version of the song and even had the crowd rap one of the track's more challenging verses a capella. He clearly loves catching the crowd off guard too; abruptly ending his song "Spice Girl" to play the actually Spice Girls' own "Wannabe" over the PA system. Seeing a Northwest artist hold down such a massive venue and be showered with so much love from fans was a beautiful sight. 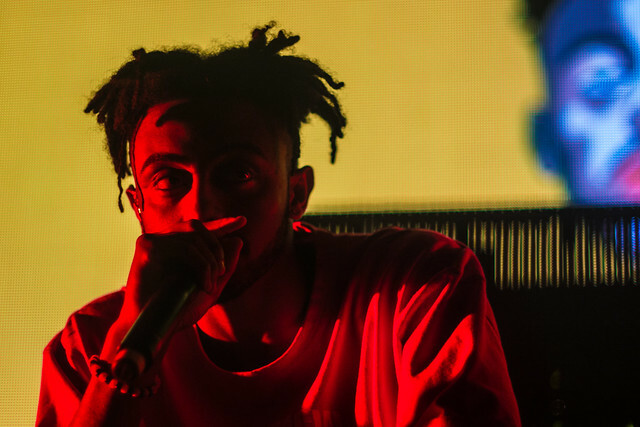 Aminé may already be a star, but it's not over here. Next time he comes through to Seattle, who knows where he'll be. Whatever it might be, I can't wait to find out.